Tim Leahy can vouch for the fact that netball can be rough on the feet. And not just because he’s a second-year podiatry student. Tim has not long returned from the uni games on the Gold Coast, where four days of non-stop netball netted his team gold in division two. “Two of our players were in Australian teams, one of those from Bendigo, Jayden Cowling, so that was really good,” he says. Tim started playing regular mixed netball this year, as a substitute for footy. Tim started playing football in the Under-10s and joined the seniors at 17. He played in three grand finals, but the cup remained out of reach, so coming home with the netball gold made for a good change. 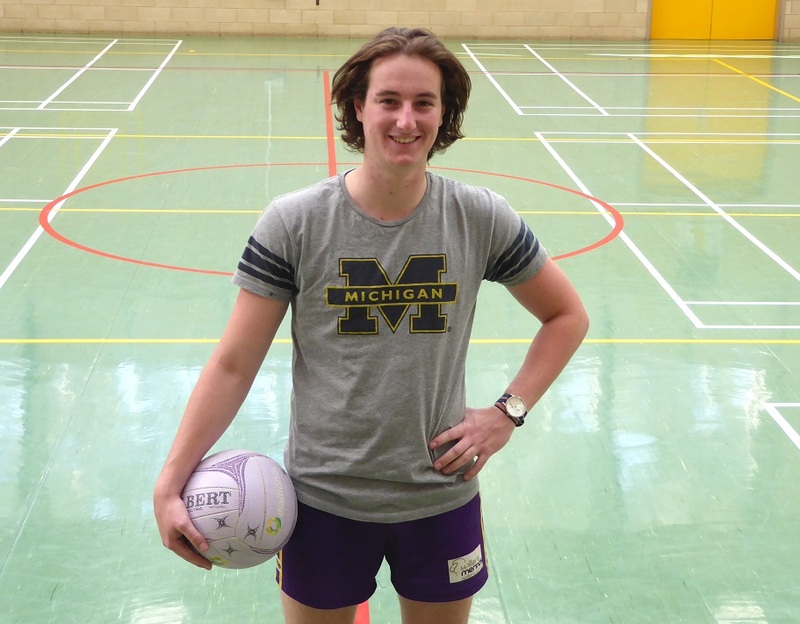 Tim lives on campus, and plays for a netball team in the residential games, and for another in the Feelgood Fitness uni games competition. Tim says he loves meeting people – which is also why he volunteered to be a residential assistant this year. Basically, that means he has a group of 24 other campus residents he helps look out for. “I really like meeting new people and I thought it would be a good way to do that,” he says. “And it has been. I’ve made heaps of new friends from it. Tim originally wanted to study physio, but says he didn’t quite reach the required ATAR. “I went to a podiatry lecture on open day and I really enjoyed it,” he says. “Plus, I’ve always been into shoes – I used to play basketball and I loved the shoes.